Video files may get easily corrupted and become unplayable due to various reasons. In such conditions, we recommend you to use Video Repair Software as it is 100% safe and performs secure video repair operation on Windows and Mac OS based machines. Why only Video Repair Software? You downloaded the latest movie or your friend gave you a video of last class lecture and it does not play. There's nothing more annoying than that situation. You are getting unexpected results like the file is corrupted or invalid video format or simply it doesn't play. What will you do? Usually, you have no choice but to find an alternative download. What if an alternative download is not available? You don't have to worry about the damaged video files when Video Repair Software is available with you. Video files stored in your hard drive might have been recorded using digital video camcorder having faulty firmware. Videos might have experienced a virus infection which has left the file damaged. While syncing the files between the camcorder and computer, synchronization process might have been aborted in between and this has left the video files corrupted. Videos recorded when camcorder is low on battery. Due to low power, video file segments are not properly arranged by firmware, which may lead to corruption of video file. 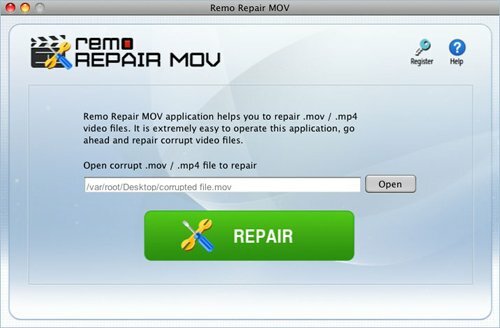 Video repair utility can fix corrupted video files in a number of incomplete download scenarios such as you are trying to move a video from a CD / DVD or any other source and it fails to move. So you get a damaged/corrupted file. The failure can be due to any reason like power disruption, unexpected removal of the source, etc. MP4 is one of the usually used video file formats in different iPods. Videos can be recorded using this device and also can be transferred to the system for sharing a purpose. Due to certain reasons, those video files may get corrupted and hence they cannot be played in the system. Need not worry as those can be repaired easily using Video Repair Software as it is the best software to repair video files. You will get a corrupted video file if it is not completely downloaded from the Internet. The video that is not completely downloaded may freeze while playing, or it won't rewind or fast forward properly or it will not start itself. In practice, there are so many reasons why files won't play in the different multimedia player. If you were trying to convert MOV file to any other video file format and could not convert successfully due to error, then MOV file might have been corrupted due to the improper conversion process. The file conversion process may be interrupted due to sudden power failure, hardware failure, operating system malfunction etc. If you are getting any error message while playing the video then header of the video might have been corrupted. The header contains essential details like date of creation, the size, last modification details of the file etc. It may get corrupted due to abnormal turning off the computer while the video was playing or incomplete downloading of the video. The video might have corrupted due to interruption during the transfer process of the file from computer to any removable drive or vice-versa. The file transfer process may be interrupted due to sudden power failure or forcible removal of the removable drive during the transfer process. Incomplete transfer process corrupts the video files that are being transferred. The fixed video file will be saved automatically as a new file without causing any damage to your original file.